The 16th animated Disney classic is a fairy-tale but different from the other Disney classics because of its medieval artwork. It's not the fairy tale genre that makes this one of Disney's most distinguish Disney animated films, but its artwork. This artwork is stylish and obeys to high quality standards, not to mention that the sceneries and backgrounds are good in general. This is one of the Disney classics which took more time to be made and perhaps one of their most ambitious. In fact, maybe because of its medieval artwork, it spent about 6 or 7 years in production. This spent nearly the whole 1950 decade in production. A very long time, even for an animated film. 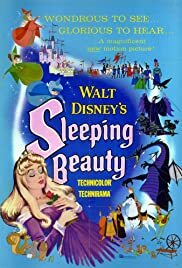 Only "The Black Cauldron" took as much time as this to be made, but we can't compare "The Black Cauldron" to the undeniably superior "Sleeping Beauty". There is a curious fact that surrounds the movie's final scene (when Prince Phillip and Princess Aurora dance above the clouds): that "trick" was actually tried in "Cinderella", but they only managed to do it successfully in "Sleeping Beauty". As a movie, generally speaking it is pretty good, happy, pleasant, magic, romantic, sometimes dramatic and emotional, while classic humor is not forgotten either (there are many funny moments, actually). On the other hand, this movie is also extremely dark in some parts, although it doesn't go as far as "The Black Cauldron" does when it comes to extreme darkness. 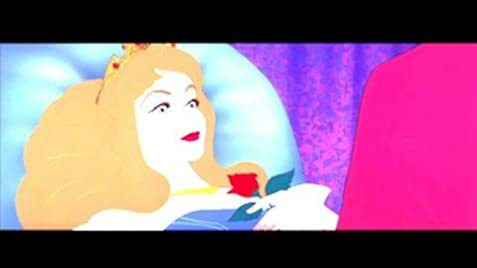 Even if "Sleeping Beauty" has its dark side, it isn't much darker than what we see in many other Disney animated films. Maleficent is the kind of villain I can't find a correct word to describe: an evil queen? A queen of darkness? An evil fairy? A witch? A sorceress? Whatever she is, she looks sinister, yet she isn't that scary considering her appearance. She's nowhere near as scary and chilly as the Horned King from "The Black Cauldron". Eleanor Audley, with that powerful voice, does a spectacular job as Maleficent's voice. Aurora (aka "Briar Rose") is a gorgeous princess with an even more beautiful voice. She's also a wonderful singer. Mary Costa does beautifully her voice. Prince Phillip is one of the coolest and most charming Disney princes of all time. And one of the funniest too. His horse Samson is one of the coolest and funniest horses of all time. Prince Phillip is brilliantly voiced by Bill Shirley. The queen (Aurora's mother) appears very little during the whole movie (we only see her at the beginning and at the end). King Stephan is a great dude and King Hubert is quite a funny guy. An especially funny scene with them is when they are discussing about Phillip and Aurora and Hubert starts fighting with a fish as if it was a sword and they end up laughing of that. Both characters are greatly voiced by the respective actors. As for the 3 good fairies (Fauna, Flora and Merryweather), I'd say that my favorite is Merryweather. She is the funniest of the three. Also, I like the blue dress better than the pink one (although both colors fit well on the dress). But the blue is always prettier than the pink. The animals which Aurora meets in the forest are other charming characters. The funniest one is the owl. Speaking of animals, Maleficent's pet raven is an interesting character yet a bit annoying - what a snitch that thing is! As for the soundtrack, it is entirely beautiful but the best is in "Once Upon a Dream" and the famous classical music "Sleeping Beauty ballet" by Tchaikovsky. Just to finalize my review, this movie was very unsuccessful when it originally came out in 1959, almost bankrupting the Disney studio. But it won loyal fans through the years and reached a cult status. I guess you can say that time has been kind to it.